Positioned in the north east corner of Europe the Baltic States provide one destination with 3 countries, each having a unique culture and varied cuisine/ history. See them now before they are changed forever, and whilst travelling at a time of year to enjoy the 10:30pm summer sunsets that occur being this far north. 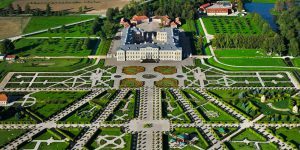 All three Baltic capitals of Vilnius, Tallinn and Riga are included in the tour and we have English speaking guides arranged in each to ensure you miss none of the major sights. Outside of the main cities the States remain very rural with little traffic making for a relaxed driving experience. Crossing each country you will see evidence of the Soviet occupation that lasted until 1991 when the States took their independence through the ‘Singing Revolution’. For the Baltic people singing has a strong tradition as an expression of their heritage, and in Tallinn once every five years they join together for a unique event featuring 20,000 singers on stage supported by an audience of over 100,000. Our tour is timed to participate in this ‘not to be missed’ event and we have tickets arranged for you, be prepared for a very memorable experience. 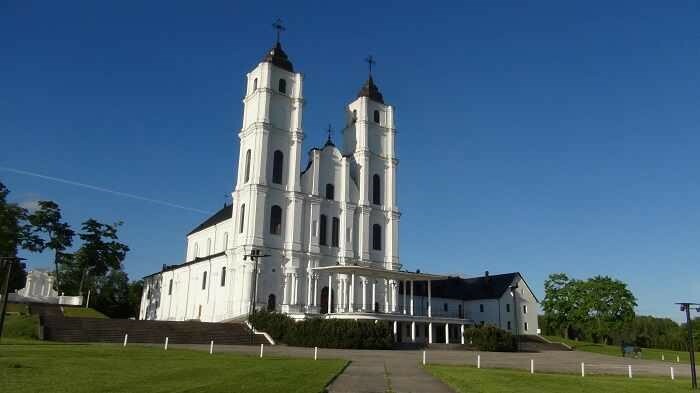 For the second half of the tour we travel along the Baltics Amber Coast, including a stay on the sea’s second largest island of Saaremaa, famed for its locally produced food and beers. Throughout the tour we have many group meals included, so trying local produce will not be a problem. Also try not to leave the Baltic States without taking home at least one small piece of Amber. We meet in the east of Poland in the heart of the countries Lake District region. 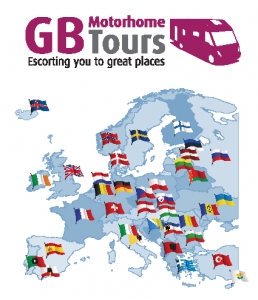 This evening the Tour Directors will host a welcome drinks reception and tour briefing at their motorhome. 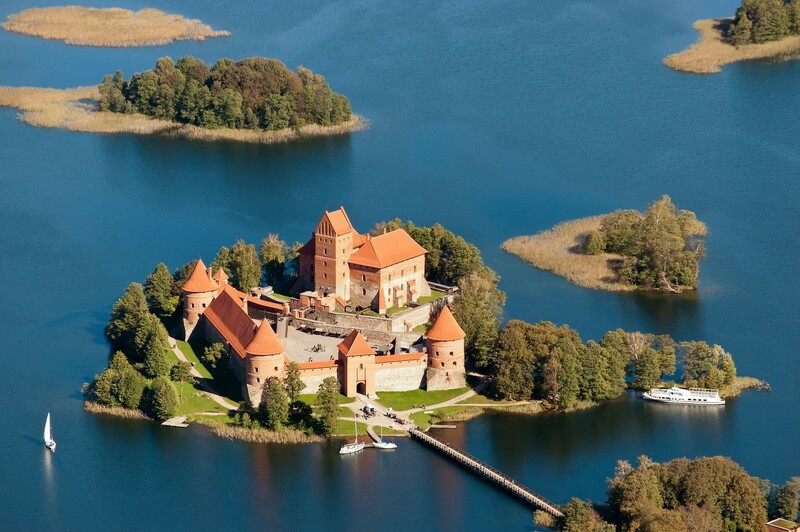 Trakai is famous for its ‘Island Castle’ and today has been left free for you to visit. This is easy with boats running directly from the campsite jetty across Lake Galve to the castle entrance. Today we visit the first of three Baltic capitals, Vilnius in Lithuania. The ‘Jerusalem of the North’, a city of 45 churches but whose bells never ring otherwise the city would not rest. Our coach collects and return us direct from the campsite and our English speaking guide will help us appreciate our time in this fascinating city. Included is lunch in an old city centre restaurant. A free day. Our campsite is situated within an area of lakes & nature with lovely walks all around, where the pretty town of Voru is a comfortable 25 minutes walk away. Being this far north the sun now sets around 10.30pm each evening with darkness arriving an hour later so there is plenty of time for exploring. Late afternoon we are taken to the Lahemaa visitor centre where we have an opportunity to learn about the National park. From here we move to an eighteenth century Manor House for the evening. Open to the public throughout the day as the doors close we enter for a private function. We take a tour of the baroque Manor House cumulating in the banqueting hall where we are treated to a private dinner with wine. Completely free for exploring the Lahemaa National Park. This can be done by walking, cycling or using the local bus which passes in front of the campsite. A free day and opportunity to see the preparations taking place for tomorrow. 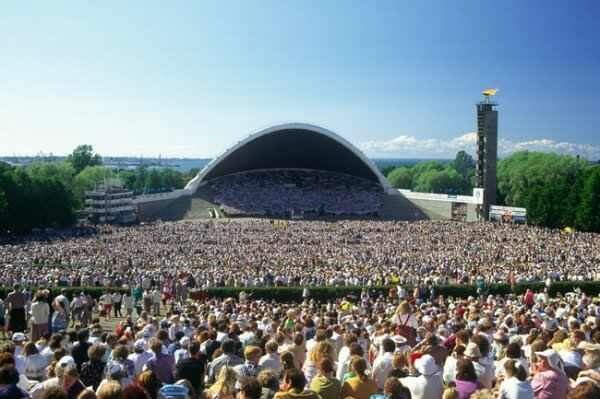 Today may well be one of those ‘once in a lifetime’ experiences as we join the audience at the Estonian Song Festival. Founded in 1869 the festival takes place just once every five years, miss it this time and the next chance will be in 2024. Throughout the day you will see many people in traditional costume performing in national and international choirs as they build up to the ‘Joined Choirs’ finale featuring 20,000 people singing in unison to create a very moving experience. So moving the event has been designated by UNESCO as a masterpiece of the Oral and Intangible Heritage of Humanity. A free day. You may choose to relax around the campsite or visit Haapsalu centre with its old castle and decommissioned Victorian train station now a railway museum. An excursion to the island’s capital, Kuressaare, today. The town is home to the medieval episcopal Castle, the only intact medieval fortress in the Baltic States and today housing the Saaremaa Regional Museum. Within the town the islands handy crafts can be viewed and there are many interesting coffee bars and restaurants to explore. A free day. Our campsite is located in a lovely rural setting and ideal for a relaxing day. Riga is our destination for today. We visit the Art Nouveau district by coach and take a walking tour of the pedestrian historic centre, both guided in English. Included will be a restaurant lunch within the old city and free time for a wander. Today has been left completely free for you to enjoy the attractions, parks and beach that surround our campsite. One being the adjoining open air museum recreating Latvian rural life from the past century, complete with fully functioning narrow gage steam train. 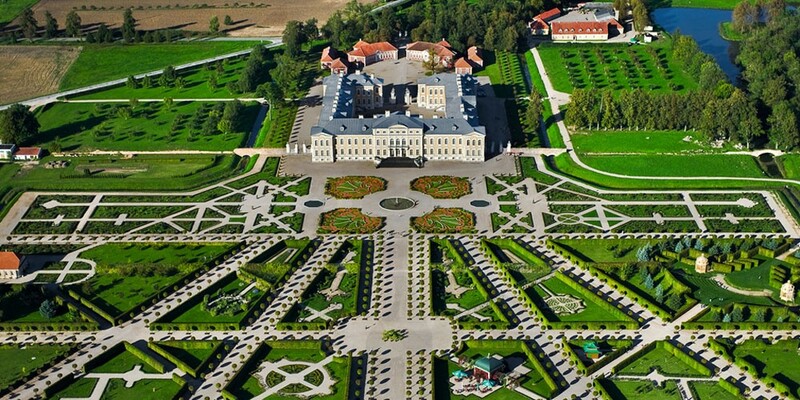 Transport has been arranged for a visit to Kuldiga, a picturesque provincial Latvian town. Sandwiched between the Curonian Spit and the mainland is the Curonian Lagoon Nature Reserve. Today we see much of this protected area with a boat cruise on the lagoon accompanied by a light lunch. A free day to relax in preparation for the evening. 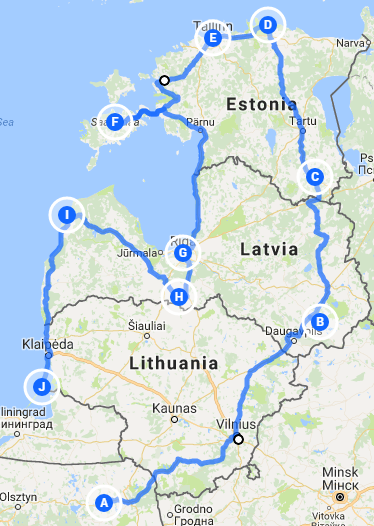 Having spent 28 days in the Baltic’s, tonight we have a ‘Farewell Evening’ in the campsite bar/restaurant with local music, dinner and drinks, a time to enjoy and reflect on the many places visited over the last month. You may choose to make your return journey home overland through Poland or alternatively take the overnight ferry from Klaipeda, Lithuania (just a few miles from our last campsite) to Kiel in northern Germany from where it is a two-day drive back to Calais. The Tour Directors will be travelling back this way and if you would like to travel with them the ferry and return campsites can be arranged for you as part of the optional package below. This tour starts in Eastern Poland and ends in Lithuania. If you would like to travel at the same time from the UK as the Tour Directors and return to the UK with them, please book the optional tour package so that everything can be arranged on your behalf. Within the optional package is included your Lithuania – Germany overnight ferry as well as your Dover/Calais return crossings.